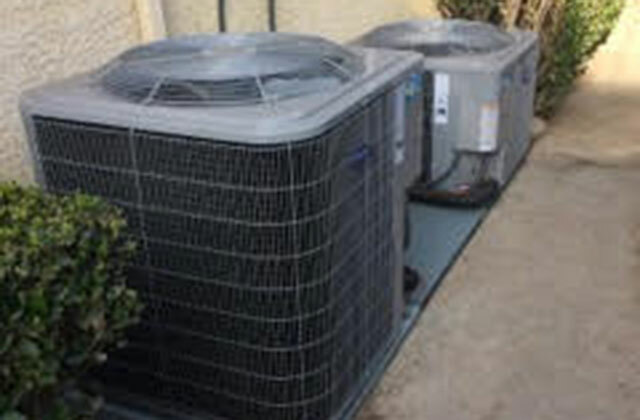 Our experienced AC technicians performed this air conditioner installation in Santa Clarita, CA. We replaced the client’s older model with a new, energy efficient 14.5 SEER Carrier Performance Series condensing unit. 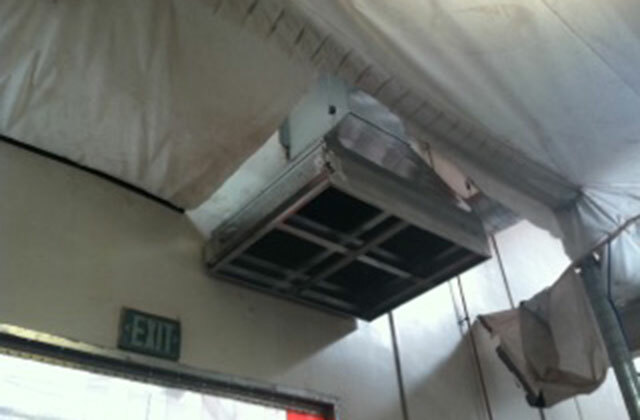 We performed a manual J Load calculation to determine the optimal size of air conditioner. 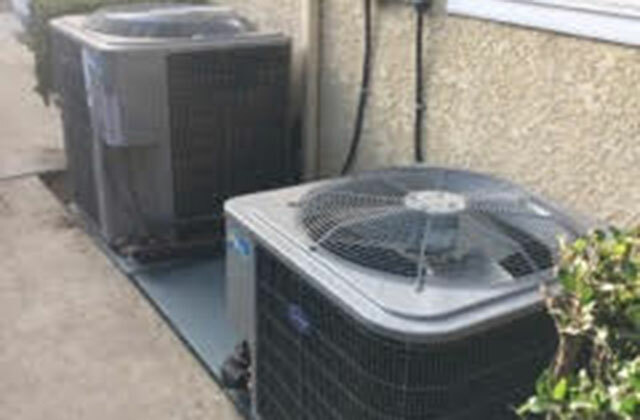 We performed a thorough inspection and tune-up of this air conditioner unit for a client in Santa Clarita, CA. Our preventative maintenance program keeps your AC system running at optimal performance while preventing costly breakdowns and repairs. 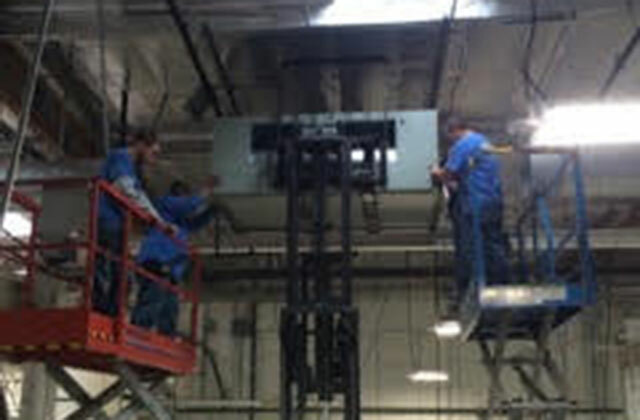 We perform commercial HVAC repairs promptly and safely. 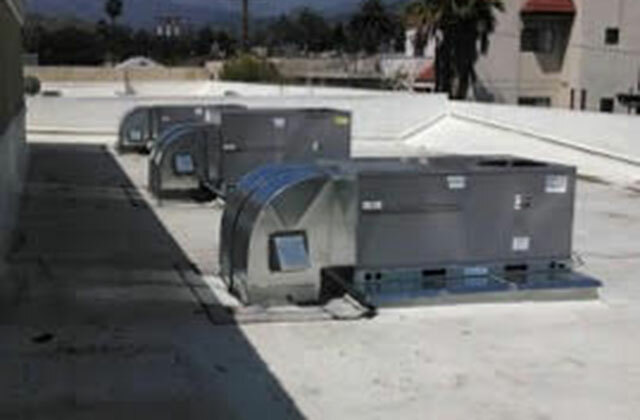 For this business in Santa Clarita, CA our skilled installers replaced a 15 ton air handler in one day. 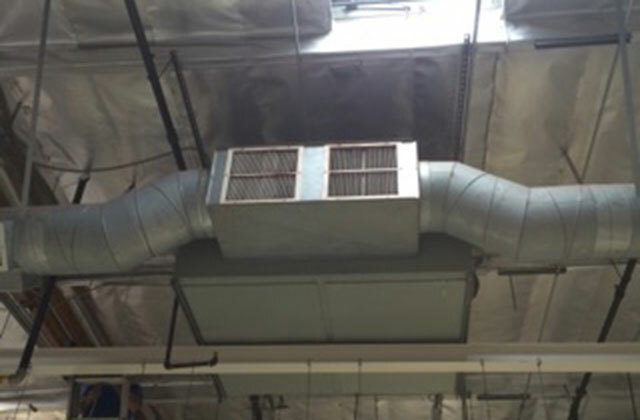 As a full service HVAC contractor, we install custom air quality solutions to maintain a safe and healthy work environment. For a client in Chatsworth, CA, we specially designed this air filtration bank for a cosmetic compounding room. Our commercial HVAC solutions provide efficient heating & cooling while meeting your design requirements. 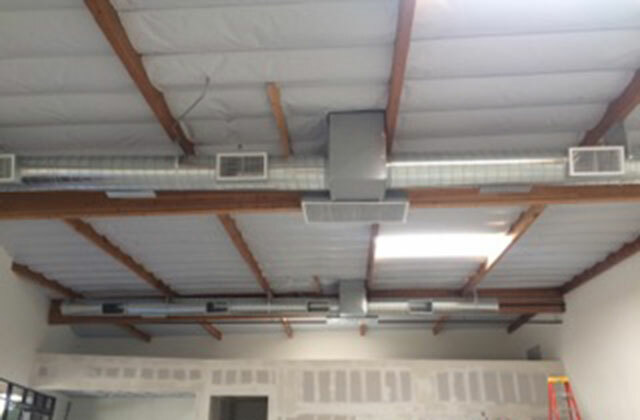 We installed this custom ductwork system for a client in Chatsworth, CA who requested exposed spiral ducting. 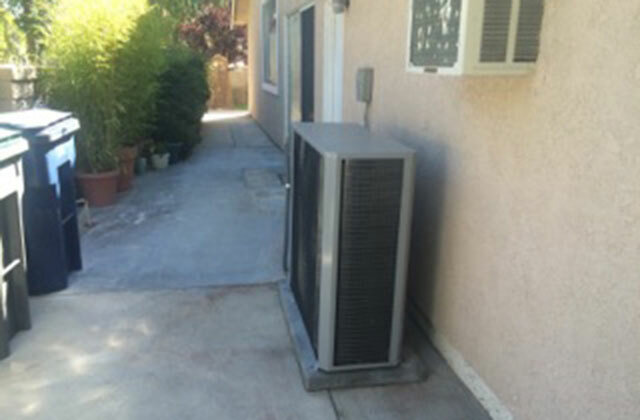 This customer in Valencia, CA required an air conditioner that would meet their property line requirements. We installed this Slimline condensing unit that provides efficient cooling in a compact size. 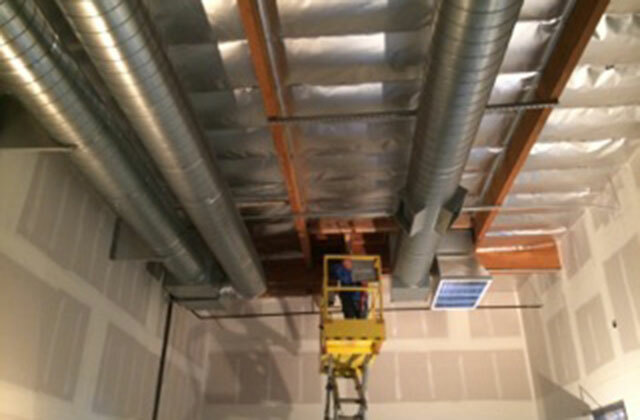 On one of our commercial HVAC service calls in Santa Clarita, CA, we cleaned & repaired this 15 ton air handler.